Leggings for women are one of the biggest benefits of the fashion world to all women on the earth. 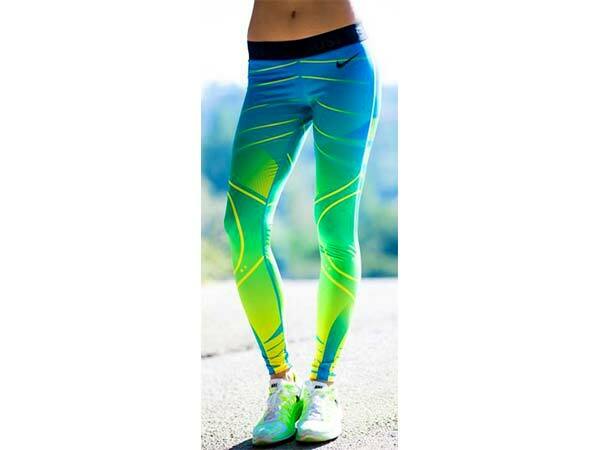 Leggings are one of the most comfortable clothes all the time and us girls can not seem to get enough of it. Leggings are becoming a substitute for pants slowly. They also happen to be one of the most versatile clothing options, leggings have now come out in the most varied styles and trends. Incorporating every big trend into the leggings is the new trend. We are loving every bit of it, And here is a list of 10 ways that you could style up your outfits with leggings and conquer the legging style like it is a piece of cake. When you wear an anti-fit oversized garment or sweater on top it is best paired with a fitted pair of leggings that match up well with the comfy sweater and makes you look cool. This amazing workout and casual style crossbreed is all the rage and easy to pull off. You could pair up the leggings with workout shoes or even heels and then wear a tank top and a sports bra to complete the look. This style you should definitely try solid shades and team the leggings up with a formal blazer or a roll-up sleeve plain shirt with a formal touch to it. Leggings with graphic prints are quite fashionable right now and this is a great opportunity to pair it up with a crop top and bomber jacket or maybe a solid cute peplum top. The prints that are coming in now are quite varied and preppy. Ranging from Aztec to floral and also botanical prints. You could choose from the array and style it your way. Yes. Wearing shiny leggings to a party can be quite stylish. Pair it up with some statement jewellery or a really cute tunic and you are good to go. Faux leather leggings are a must have this season and they can be paired up with so many varied looks and styles. This new trend with cutouts replaced with sheer fabric of the same shade looks super cool, and can be styled with a lot of different outfits. Leggings can also be textured, embellishments and embroideries can also be worn on leggings to give it that glamorous look and style. This legging trend would also make you stand out and look fashionable. When you want to wear that cute skirt or dress during winters but it is too cold for flimsy tights. All you have to do is pair it up with a nice warm pair of leggings that looks great and feels great. Powered by Awesome Style Talk.